This post might have Kermit’s undivided attention. I just spoke with paleontologist David Krause at Stony Brook University who described an amazing find in Madagascar: a gigantic fossil frog. It was the size of a squashed beach ball and - at a whopping 10 lbs. - may be the heaviest frog ever. 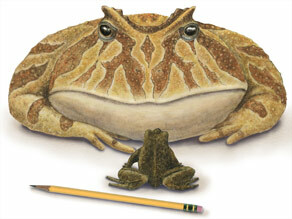 The 16-inch ancient frog did its hopping at the end of the age of dinosaurs, about 65-70 million years ago. Krause’s team started calling it the “frog from hell,” which prompted fellow researcher Catherine Forster to give it the official genus name Beelzebufo. She combined “Beelzebub,” the Hebrew word for devil, with the Latin “bufo”, meaning frog or toad. But here’s the kicker: Beelzebufo’s closest living relative is half-a-world away in South America! So how does a fossil group on an island off the east coast of Africa have contemporary cousins in the western hemisphere? Krause has started a bit of controversy. I’ll explain in a bit. Field researchers first discovered bits and pieces of the devil frog back in 1993, but it took 15 years to collect enough fragments – about 75 of them – to make sense of the skeleton. Finally they had enough specimens to assemble about 75 percent of the animal’s skull and 10 percent of its body. Knowing the anatomy of related forms, Krause suspected he had a froggy find. But he needed help in identifying what kind. He collaborated with fossil frog experts Susan Evans and Marc Jones of the University College London. Evans was the first to suggest that thought that Beelzebufo resembled the “ceratphyrines” of South America, which have enormous mouths. In fact, some people call them “pac-man” frogs after the big-mouthed videogame character from the 1980s. Evans and Jones concluded that the discovery of Beelzebufo is the first time fossils in Madagascar have been connected with living relatives in South America. You can read their complete findings in the journal Proceedings of the National Academy of Sciences (PNAS). So why is the Madagascar-South America link controversial? Frogs like these don’t disperse over big bodies of water, so you need a land connection. Paleontologists like Krause have to look millions of years back in time, to when scientists think the enormous “Pangaea” supercontinent connected most of the world’s landmasses. Most geoscientists think that Pangaea broke into two supercontinents about 180 million years ago (“Gondwana” to the south and “Laurasia” to the north), and that Gondwana’s break-up about 160 million years ago separated Madagascar from Africa. But if Beelzebufo existed around 65-70 million years ago – and is in fact related to South American ceratphyrines – it means that Madagascar was not isolated from other land masses by that time. Krause says this is a fairly hot debate in scientific circles. The question also lingers whether Antarctica – which was much warmer in the Late Cretaceous period – could have been the land connection. Despite a news conference (see the previous blog item from CNN Senior Producer Kate Tobin, and the excellent reader responses), we still don't know all that much about USA-193, the crippled spy satellite that wants to drop out and come home early. We know a few details about its size, and the possible toxicity of its frozen half-ton of hydrazine fuel. But we don't know exactly what it does, or where it is. We wouldn't want that information to fall into the hands of America's enemies. Gladly, Friedrich Deters of LaGrange, North Carolina is not one of America's enemies, as far as we know. Because he got a picture of it. Friedrich is one of an army of satellite buffs who research, monitor, and track some of the thousands of orbiting satellites that are up there. But his photos, taken just before dawn as USA-193 streaked across the sky, looking quite a bit like a meteorite, remind us that today's world is a hard place to keep a secret. If a smart guy in North Carolina can get a look, how about a hostile government? Spacewalkers Rex Walheim and Stan Love are back inside after wrapping up the third and final spacewalk of the STS-122 mission. They successfully installed two experiment packages to the exterior of the new Columbus laboratory, and transferred a gyroscope that failed last year from a stowage rack to Atlantis' cargo bay for return to Earth. Stan Love must be jazzed that he got to do two spacewalks on this mission. He was only scheduled to do the one today, but of course got an extra trip out of the hatch for EVA 1 when Hans Schlegel fell ill.
Astronauts will spend tomorrow and the first part of Sunday outfitting Columbus to get the experiment racks and work stations up and running, and also competing all the supplies and equipment transfers between shuttle and station. Later Sunday, the Atlantis crew will get in the shuttle and close the hatches, preparing to undock from the station early on Monday. If all goes as planned, they'll land at the Kennedy Space Center on Wednesday at 9:06am. Also, if you enjoy following shuttle missions you won't have long to wait for the next one. The shuttle Endeavour is set to roll out to launch pad 39A at KSC on Monday morning, first motion expected just after midnight. The 3.4 mile trip generally takes about 6 – 8 hours. Launch is targeted for March 11. 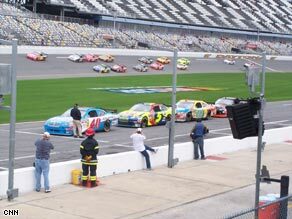 We're in Daytona Beach watching NASCAR teams prepare for the 50th running of the Great American Race. What a rush its been so far... Day one we rode in the pace car for a few "hot laps". Which basically means you're hauling you know what round the track up to 140 mph. Wow that was a fast and very bumpy ride. Definitely rougher than you would think. The banks are 31 degrees which allows the big speed. We stopped on one turn and could barely stand on it. Our driver Brett Bodine winked and said "yup its like racing on the moon". Back in the garage teams work on cars like surgeons with high tech precision making adjustments and trying to gain an edge. They run hard in practice and qualifying with average speeds round 180 mph. Ear plugs are a definite...rolling thunder would be a extreme understatement. We followed the 5 car and Casey Mears for our high speed story pegged to weather. They don't run in the rain but temperature, sunshine, air pressure, and winds definitely play a huge role. Making adjustments/decisions based on changing weather conditions could put your car in Victory Lane. Just about each day, a portion of my Journalism training is deployed for sitting in meetings. Lots of them. Some of them are conference calls - some vital, and some where you're not quite sure why you're there. It's in those kinds of calls when I try my best to find something to multi-task on. Often, I end up taking a tour on Google Earth. Some of the thing I find are useful for work. Some aren't. 51 22 24 -68 41 03 Homer Simpson would love this - a huge lake shaped like a donut. Quebec's Lake Manicouagan is the result of an asteroid impact millions of years ago. 40 52 05 -74 14 43 Look closely at this mansion in North Jersey. The long, curving driveway. The white stucco. The kidney-shaped pool in the back. It's Tony Soprano's house. Remember that this kind of satellite and high-altitude photography hasn't been out there for all that long. 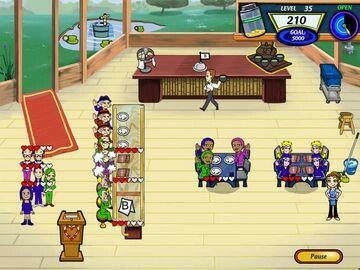 If you had these kinds of images in your possession twenty years ago, you would likely either have a high-level security clearance, or you'd be headed to prison. Maybe even this one: 38 55 22 -77 03 59 It appears to be the only spot on Google Earth that's intentionally blurred out. See if you can figure out what it is. Google Earth has said it's an oversight, soon to be corrected. Some scientists need a makeover. Or maybe just better publicists. Geeky. Nerdy. White coats. Coke bottle glasses. 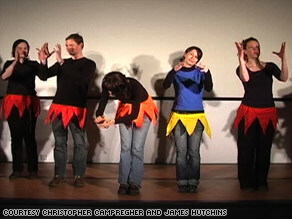 Scientist.” Bohannon created the first-ever "Dance Your Ph.D." contest. “Interpret your Ph. D. thesis in dance form, using no words or images,” stated the rules. 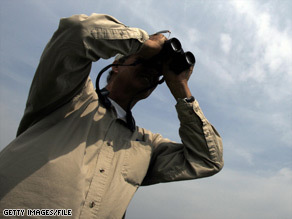 “Scientists get a bad rap, mostly because of clothing issues,” said Bohannon, a molecular biologist turned journalist. A shimmering loincloth could change attitudes in a flash. And that’s what archaeologist Brian Stewart, the winning entrant wore, wowing the judges with his emotional connection to the audience. Stewart’s thesis: "Refitting repasts: a spatial exploration of food processing, sharing, cooking and disposal at the Dunefield Midden campsite, South Africa." And he managed to convey his five years of research and field study into a one -minute romp on the dance floor. So how DO scientists dance? “There’s some awkwardness and some magic, sort of like at a wedding,” said Bohannon. Among the dozen contestants competing in Vienna, there was tap dancing, break dancing, and a group disco number. Bohannon says the analytical work of science can be all- consuming, and this was a chance for students, post-docs, and professors to cut loose. Next year’s contest is likely to be a YouTube event, so quantum physicists, anthropologists, mathematicians—scientists from anywhere in the world can dance their hearts out. “If people, especially Americans knew how much fun science was, they wouldn’t shy away,” said Bohannon. Have a look at all 12 of the videos here.